He was one of the world's most iconic designers, at the heart of not one, not two, but three fashion houses. 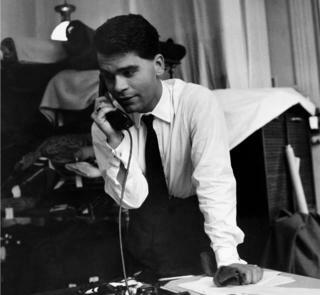 Lagerfeld was born Karl Otto Lagerfeldt in pre-war Germany. He changed his name because he believed Lagerfeld sounded "more commercial". Image caption Lagerfeld fits one of his designs on top model Ines de la Fressange at Chloe's Paris studio. 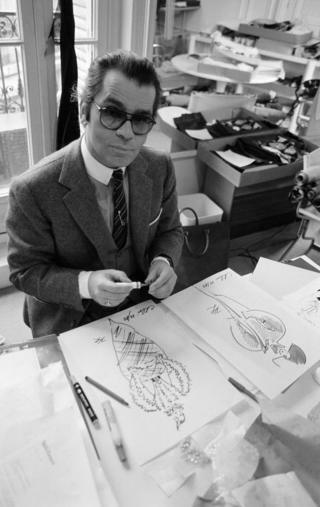 Image caption Lagerfeld works on design sketches at Chloe's Paris studio. Image caption Linda Evangelista walks the runway at the Chanel Ready to Wear Fall/Winter 1991-1992 fashion show. "We did it because it's in the air, but it's not an air people imposed to us," Mr Lagerfeld said. He argued "there was not much fur" in Chanel's work to begin with. In 2016 Chanel staged its show in the Cuban capital Havana - the first international fashion show since the 1959 communist revolution, shown in the two images below. 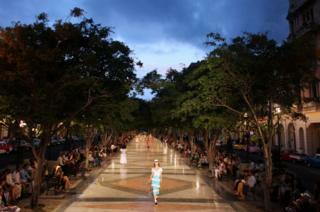 World celebrities gathered at a leafy promenade that was turned into a catwalk for the firm's Cruise collection, even though Chanel goods are not sold in Cuba. Celebrities - including actor Vin Diesel and supermodel Gisele Bundchen - attended the show at Havana's Prado promenade to see Lagerfeld displaying the new collection. Lagerfeld said the line was inspired by Cuba's "cultural richness".